Fashion District Lofts. Amazing Location In Trendy King West,One Of The Hottest Neighbourhoods Downtown. Loaded With Upgrades, 10Ft Ceilings, Floor-To-Ceiling Windows, A Full Balcony With Gas Line For Bbq'ing, Top Of The Line Kitchenaid Stainless Steel Appliances, Granite Kitchen Counters & Island With Extended Breakfast Bar, Kitchen Pantry, Closet Organizers & Upgraded Pre-Engineered Hrdwd Throughout. One Parking Spot And Locker Included. 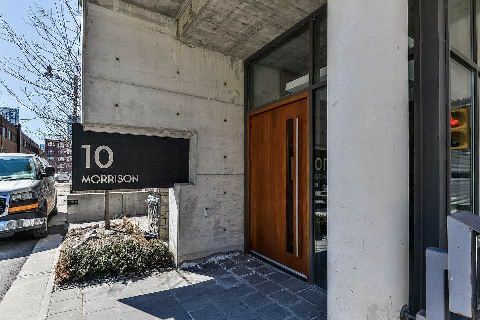 Want to learn more about 10 Morrison St.? I would like to learn more about 10 Morrison St..